I'm surprised, since the original Evoland did release on Linux but sadly the second one never made it. 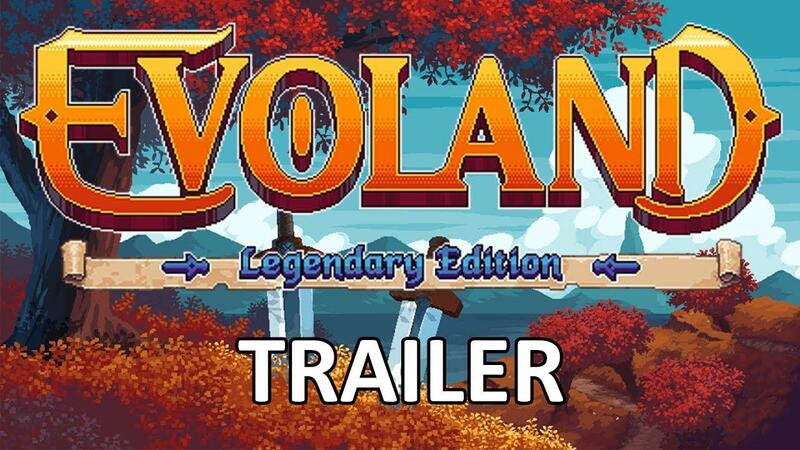 Evoland Legendary Edition seems to combine both games into an updated experience, with the previous two seemingly no longer purchasable on Steam. You can find it right now on Steam where it's 25% off until February 14th. If you own the first game, you should see a higher discount. I own the original, so for me the discount is currently 75% off which is pretty sweet. Additionally, if you own the second game you should see this already in your Steam library for free. wooooooh! i loved this game a lot, instant buy! i'm not sure about this but i think evoland 2 was not ported to linux because adobe dropped the linux support for air, i know the first one was made with adobe air, not sure about the second one. That's great news! I enjoyed the first one a lot, so I'm happy we'll finally get to experience the sequel. Liam, can you ask to Shiro games on Twitter if the Legendary Edition will be available on GoG ? game appears to require Wayland. I don't currently gave Wayland installed and not planning to soon. So I'll probably have to refund it. I'll keep it on my wish list tho. thelimeydragon game appears to require Wayland. I don't currently gave Wayland installed and not planning to soon. So I'll probably have to refund it. I'll keep it on my wish list tho. edit: GTK3, Mesa, MPV, Retroarch and many other things also require Wayland. I had a Steam key for Evoland 2 lying around for a long time, got it in some bundle long forgotten. It looked interesting, but the game didn't have a Linux client or work in Proton. Activated it now and got the Legendary Edition for free. morbius I had a Steam key for Evoland 2 lying around for a long time, got it in some bundle long forgotten. It looked interesting, but the game didn't have a Linux client or work in Proton. Activated it now and got the Legendary Edition for free. Thanks for the tip. My key apparently came in a bundle called "Humble Bundle's: Best of 2016".